While tag-based affinity matrices afford a standardized and consistent method to purify proteins, the versatility of affinity matrices is only first apparent when coupled to molecules that interact directly with the protein of interest. Loading a matrix with protein-specific ligands, agonists, antibodies, peptides, small proteins, or other molecules enables new experimental applications. Cube Biotech produces tailor-made affinity resins or magnetic beads. You determine the coupled molecule, its coupling orientation, and whether it should be bound with a cross-linker or a spacer. We can advise you on the most suitable coupling strategy for your application. For example, we offer a choice of spacer lengths and special linkers that can be cleaved under reducing conditions or by UV light. 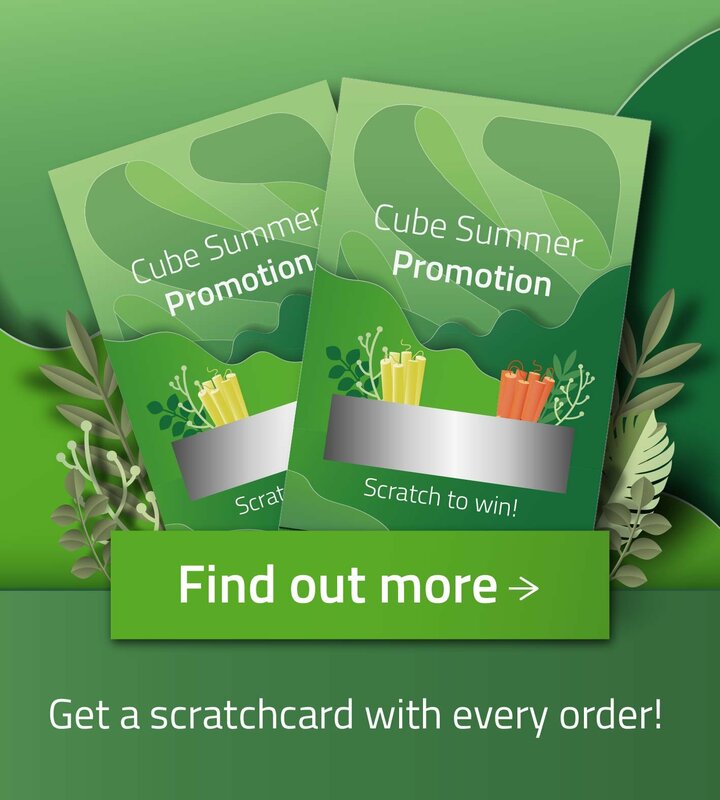 You can even send a publication for us to duplicate. We develop pilot synthesis reactions to your specifications and work with you to evaluate the utility and quality of the resulting pilot matrices. We then produce the best performing matrix in the quantities needed—from a few milliliters to bulk volumes. Purify proteins without an affinity tag: in the case that affinity tags interfere with the structure and function of the target protein, or that eluents or compounds that leach from resins have toxic effects, a target protein can be captured on an affinity matrix loaded with a ligand known to specifically bind the protein. 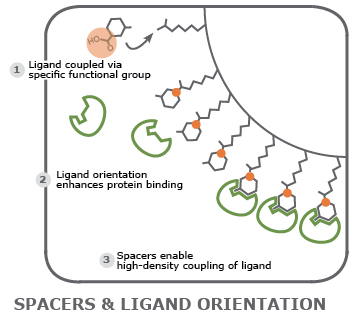 Select only proteins in native, active state: taking advantage of the specificity of protein-ligand interactions, a matrix can be loaded with a ligand that does not interact with misfolded or unfolded proteins. 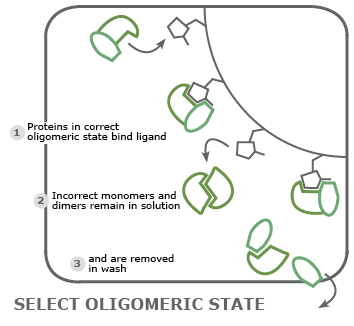 Purify proteins in a particular conformation: for structural analyses, a matrix is loaded with molecules that bind a protein only in a particular functional conformation or oligomeric state thereby separating alternative conformations. Conduct functional studies with natural, synthetic, or protein ligands: determine binding affinity and other functional parameters of a target protein by exposing it to any ligand—natural, synthetic, protein, antibody—coupled to an affinity matrix. Examine protein-agonist interaction: a matrix loaded with a synthetic agonist is a prime reaction surface to study binding and response of a target protein. The density of the agonist on the matrix can be determined and adjusted using spacer molecules. Additionally, the functional group used to couple agonist and matrix can be defined so the orientation of the molecule maximizes interaction with the protein. 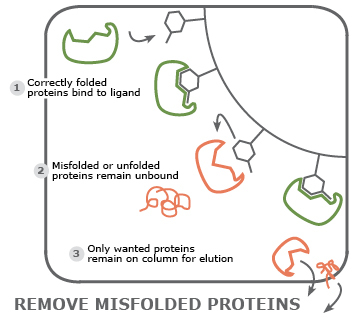 Avoid alteration to the target protein due to sub-optimal elution conditions: elution conditions may interfere with important features of a protein. 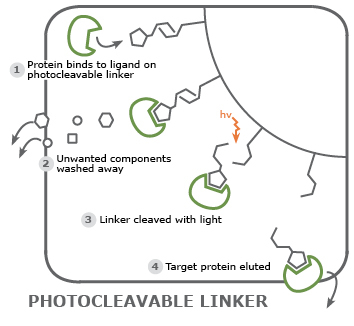 Crosslinker molecules that are chemically or light-cleavable offer an alternative method to bring a protein off the resin. The eluted protein still binds the ligand making it suitable for downstream applications such as co-crystallization experiments. Whatever your needs or ideas, we would be happy to discuss and assist you in developing your project. If required, all information regarding a commissioned project is kept strictly confidential and your protein-specific matrix can be produced on an exclusive basis.